Floor coatings using MMA or Methyl Methacrylate resin cures in 30~60 minutes at 30°C ~35° C. Application is possible even at temperatures of -20°C. 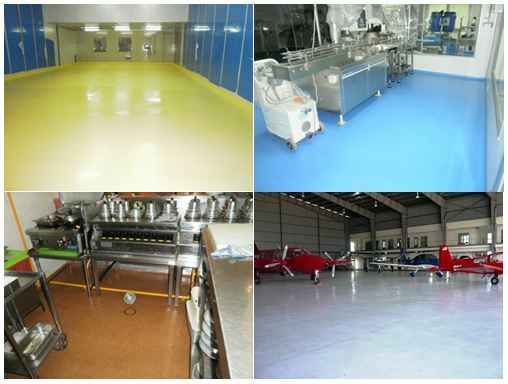 MMA or Methyl Methacrylate resin floor coating are also durable and chemicals resistance. A typical project working from 10pm the night before can be opened for operation at 8am the next morning. This would not be possible when using urethane or epoxy based coatings or products. As such, projects with time constraint and in area which could not afford to shut down or down time would benefits from using MMA or Methyl Methacrylate coating system.